My Health Record – what are the benefits and risks? NSW Hepatitis Awareness Week 2018 kicks off on Monday 23 July, with World Hepatitis Day falling on Saturday 28 July. Following on from the communications strategy we produced last year, Hepatitis NSW has put together another state-wide, viral hepatitis awareness raising campaign with funding from NSW Health. Elements of the campaign will roll-out from the start of Hepatitis Awareness Week and then well into August. Here’s everything you need to know about the campaign. The main focus for 2018 is on HEP C, with the key message being CURE IS EASY. There is a special focus on reaching people who inject drugs. With tens of thousands of people in New South Wales living with the hepatitis C virus, we want to use the opportunity of Hepatitis Awareness Week and this campaign to highlight how much easier it is, now that new treatments are available, for people to be cured. There will also be some HEP B material, with the key message KNOW YOUR HEP B STATUS, encouraging people to be tested. 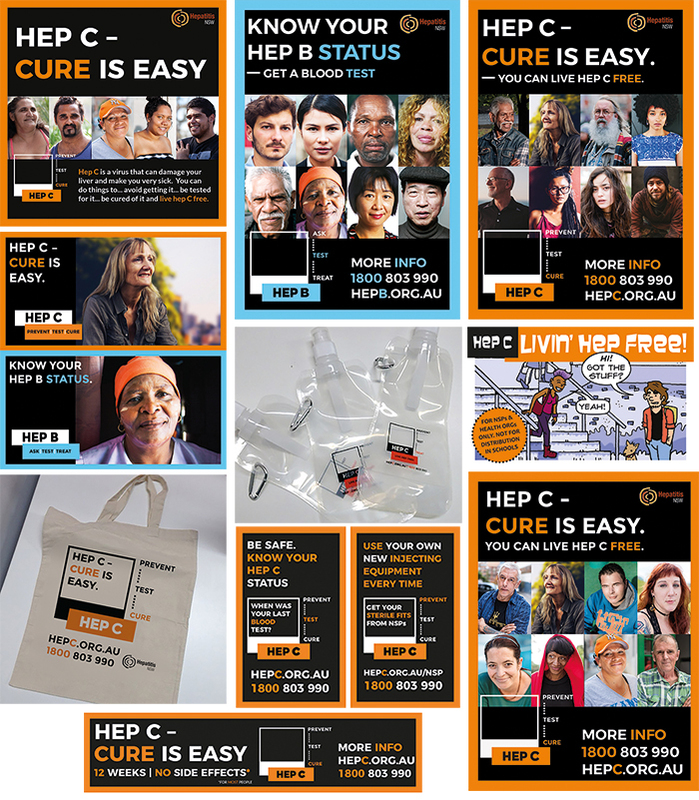 HEP C – CURE IS EASY advertising will be placed across Sydney and regional/rural NSW. We are utilising numerous platforms and locations including billboards, street furniture, shopping centres, GP waiting rooms and, for the first time, public washrooms. 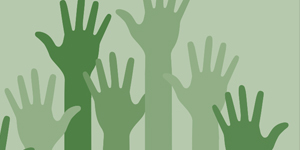 Social and digital media will be in full swing – we are placing promoted posts through Facebook and Google AdWords. Chances are, if you are on Facebook or using Google, you will see one or more of those adverts. If you see the Facebook posts, please consider liking/sharing with your friends, it will help spread the word even further. The purpose of this public advertising is not just to raise awareness of hep C cures, but to also direct people to the Hepatitis NSW 1800 803 990 Infoline and/or to the campaign website hepC.org.au. From there they will have increased capacity to make decisions regarding treatment and cure. Hepatitis NSW has updated and reprinted the 8 page booklet for Aboriginal people that was produced last year. HEP C – CURE IS EASY talks about prevention, testing and cure in an easy-read format with short personal stories. These are available free to all Aboriginal Health organisations and agencies that work with Aboriginal people. We’ve also reproduced last year’s very popular free merchandise – calico bags and water bottles – which can be given out through Aboriginal community events held by Aboriginal health organisations or Local Health Districts. Additionally, there will be a half page advert in the late July issue of Koori Mail. As we know, there is generally a high prevalence of hep C in NSW prisons. 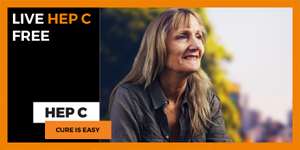 Hepatitis NSW has produced HEP C posters and discreet, easy-read HEP C leaflets for prison clinics and intake facilities. The leaflets include messages on using FINCOL for safe injecting practices (vital in an environment with no NSP); plus info on testing and starting treatment while in prison. This will give prisoners access to information to help them live hep C free while inside. These resources are being distributed in partnership with Justice Health & Forensic Mental Health Network. Hepatitis NSW has updated and reprinted the very popular minicomic for people who inject drugs that was produced last year. Livin’ Hep Free can be given out with fitpacks, it’s even small enough to fit inside the 10x fitpacks. Using an easy read comic format, there is information on prevention of hep C transmission, testing, treatment and cure, all within a safe injecting context. We’ve also designed three unique fit-pack stickers, plus a sticker for dispensing machines and disposal bins. The fit-pack stickers will be available for order from Hepatitis NSW in the short term, however you can expect to see them appearing on fit-packs distributed to NSPs (both community based and in pharmacies) across NSW thanks to a special arrangement with the NSW Ministry of Health and ASP Healthcare. To reach out to GPs, most of whom will have patients living with hepatitis C, we’ll be placing inserts in upcoming issues of the Australian Journal of General Practice and The Australian Doctor magazines. The insert has information on one-side that outlines the benefits of cure, plus how GPs can treat their patients. The other side of the insert is a campaign poster that the GP can place in their clinic or waiting room. Hepatitis NSW has also produced a range of HEP B and HEP C posters and pull up banners and and HEP C fliers that can be used by Local Health Districts and all other community health organisations across NSW. Our health information and treatment access program Live Hep C Free will be busy during Hepatitis Awareness Week this year. You’ll find our talented team of dedicated peer workers utilising their expertise across NSW to help people living with hep C get access the healthcare they need. We’ll be partnering with healthcare workers to bring hep C information, support, testing, FibroScans, and treatment wherever we go. Working with the Kirketon Road Centre at the Medically Supervised Injecting Centre in Kings Cross. A new medical record system – called My Health Record -has been launched and is operated by the Australian Government. It is an online database designed to keep all your medical records in one place. This article outlines benefits and risks to help you make an informed decision, and includes information about opting out if you do not want a My Health Record. Every Australian will have a My Health Record account set up, unless they choose not to have one. If you choose not to have a record you can opt out between 16 July to 15 October 2018. If you do want a My Health Record, you don’t need to do anything. After October 2018, health services will upload the past two years of your Medicare and pharmacy records into the system. Once a record is created, you can access it online with a personal access code, where you can add, restrict access or ‘deactivate’ information and apply control features and monitor who has access to your record. However, in an emergency, or where your or another person’s safety is a concern, health workers can ask for any restricted access features to be lifted for five days. You can also add personal health summaries, allergy information, care plan information, Indigenous status information and other personal information you choose to share. Health staff can look at your records and information. When you go to a GP, clinic, hospital, pharmacist, dentist or use an ambulance, health care workers can see what’s been happening with your health. My Health Record might improve and support coordination of your care. It might reduce doubling up of tests, prevent drug-drug interactions from prescriptions, and save time in an emergency or where you are unable to communicate. Health workers will add to your record after each visit, prescription, or test. If you change doctors, with your consent, all your test results and medical information can be available to your new doctor without the hassle of transferring your files. It also prevents health information getting lost. Unfortunately, people affected by viral hepatitis sometimes report that they experienced a change in the attitude of the health care workers and/or the way they are treated, compared to other people, after the health care workers got this information. This experience is called stigma and discrimination, and can affect people’s health and safety. Currently, to protect your privacy and safety, you may have been going to one service, such as your usual GP for some things, and going to another health service, such as a sexual health clinic for other matters. 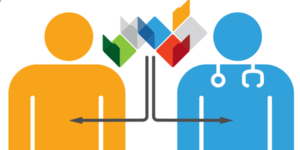 My Health Record will share your medical records between all the health services you visit including GPs, dentists, pharmacists, clinics, and hospitals. If for example, your record shows you have been tested or treated for hep B or hep C, this information may be seen in your My Health Record by your health care workers. The Government states the information in your My Health Record is securely held and cannot be accessed by anyone other than you (or people with your login details) and healthcare workers. Your information is not published online, it cannot be searched for on the internet, and the Government has stated that your My Health Record data is unlikely to be stolen or hacked. If you have a record, you can control who views information by going online and changing your privacy settings or ‘deactivating’ data. However, if you ‘deactivate’ data, the information is not deleted, and a copy will be kept in the system. You can choose what is added to your record by clearly telling a healthcare service provider that you do not want your health information uploaded each time you visit them. The Government says people can cancel their My Health Record at any time after the end of the opt out period – or create one, if they opted out initially. The laws about who can see a person’s My Health Records are very broad. In the future, your health information may be shared with other people or agencies, including researchers, insurance companies, police, immigration, or community services. Currently health information kept in medical files can only be given to these third parties after they get court approval. Once the new system starts, other government departments and people can do this if they “reasonably believe” the information may prevent or solve a crime, prevent “improper conduct”, protect public spending, or be relevant to a case before a court or tribunal. The laws about this are in the My Health Record Act 2012 (Commonwealth). To opt out or not opt out? That is the question! You can choose to opt out – but only have from 16 July to 15 October 2018 to do so. If you have any doubt, opt out. You can create a My Health Record, later if you change your mind. If you choose to have a My Health Record, you don’t need to do anything and your records will automatically be uploaded. To view your My Health Record, you will need to create a myGov account and register for a My Health Record.